Fifteen years ago, you threw a 2.1″ tire on your mountain bike and went riding. Maybe you rode crazy wide 2.4″ tires if you were a DH guy. It was that simple. Now a days, there’s everything from skinny 1.8s all the way up to 5 inch monsters. How the heck are you supposed to choose? Here’s a quick guide to mountain bike tires to help you figure it all out. There’s three categories of tires out there right now – Regular, Plus, and Fat. First you need to figure out what type of rider you are. 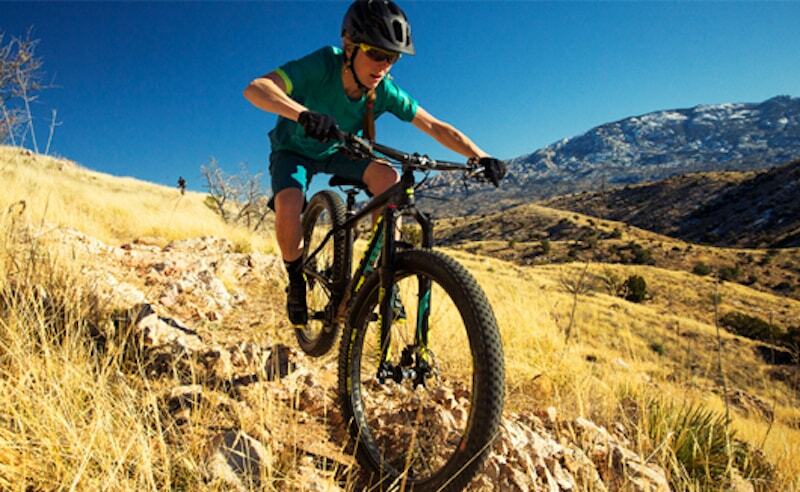 Tire width 2.0-2.4 inches: You’re an expert rider, or primarily ride well maintained single track. Regular tires are alive and well. They still offer good traction, low weight, and precise handling. If you’re an expert rider, racer, or mostly ride flowy smooth bike park trails, 2.0-2.4″ tires are probably a good choice for you. The downsides? You can’t run as low a tire pressure, which will give up some traction and compliance over a wider option. Who cares, they’re fast! Tire width 2.8-3.0 inches, aka “Plus” tires: You ride gnarly trails, don’t have great technical skills, or are just looking for something new. Plus tires are the newest category of the three and I think everyone should give them try. I ride a lot of rocky forest service trails and absolutely love my 29 Plus bike. Besides their insane amounts of traction, you can pretty much just steamroll over anything in your way. 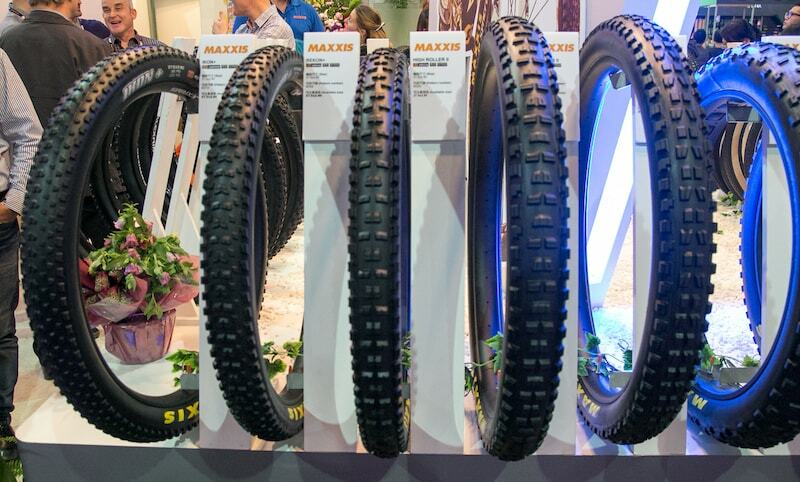 Trails that would not be fun on regular tires are now fair game. They are heavier than their skinny friends but the increase in rolling resistance is minimal and they soak up a ton of bumps. Some complain that the handling isn’t as precise, but all my fastest times at local trails are on plus tires. They’re also a great option for beginner mountain bikers. My wife’s confidence has improved exponentially since switching to some 27.5 x 2.8s. 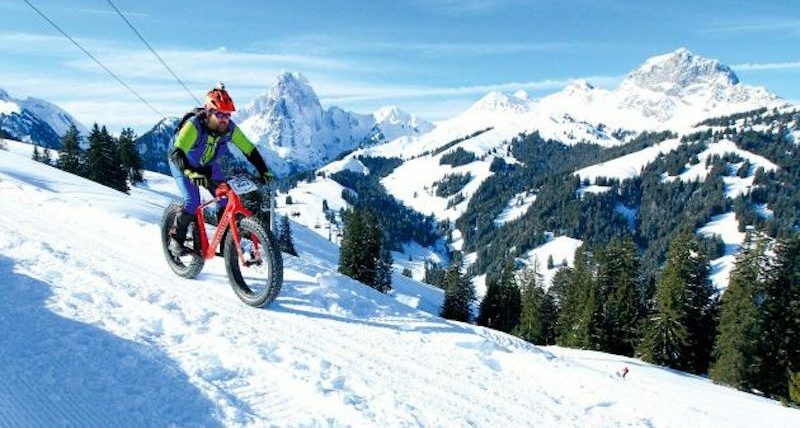 Tire width 4.0-5.0 inches, aka “Fat” Tires: You want to trail ride in the winter…even though there’s this thing called skiing that you should really check out. You’re officially a fat biker. Plus tires do OK on compacted or groomed snow, but for true winter performance, wider is better. A 5 inch tire on snow is the equivalent of a 120mm waisted ski. These bikes can be a lot of fun on dirt too. They’ve got even more steamroll capacity than plus tires and they’re great for bike packing, but the downside is weight. Generally the whole package ends up feeling a bit heavy and lethargic. Steamrollers move pretty slow. Keep in mind, your bike frame and rim width will probably dictate how wide a tire you’re able to run. Fat tires are their own thing and aren’t something you’re going to retrofit on your existing bike. With the new boost axle spacing, many new frames can fit plus tires even if they didn’t come spec’d. If you’re on a 29er, often you can run 27.5 Plus tires, if you’re willing to buy some new wheels. For plus tires, a wide rim (internal rim width of 30-40mm) is ideal.